The TomTom Rider 400 Motorcycle Sat Nav is TomTom's latest motorcycle designed sat nav that is replacing the out going and original TomTom rider series. The original TomTom Rider that we thought was our best motorcycle sat nav unit was a fantastic sat unit and offered serious performance to the avid motorcycle user to ensure that they were able to go out, ride new roads, but still have the ability to find there way home at the end of the day. 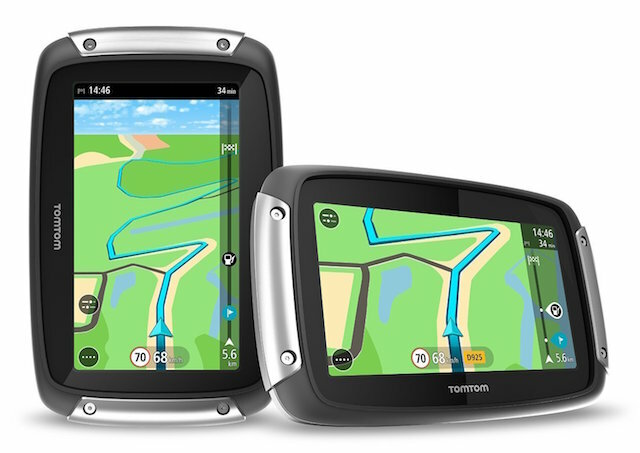 This all new TomTom Rider 400 is the replacement and has a lot to live up to. In the outgoing model, we loved the screen size, we loved the maps and most importantly we loved the design that allowed users to follow directions whilst at the same time be able to mount the unit on your motorcycle. The original model was entered into the market in early 2014 and therefore was due a replacement however the good news is that TomTom have not let us down and have built a sat nav that has been designed specifically for motorbike users to really enjoy themselves. The screen, menu system, and directions have not changed much between the two models, but what has really changed is the features. 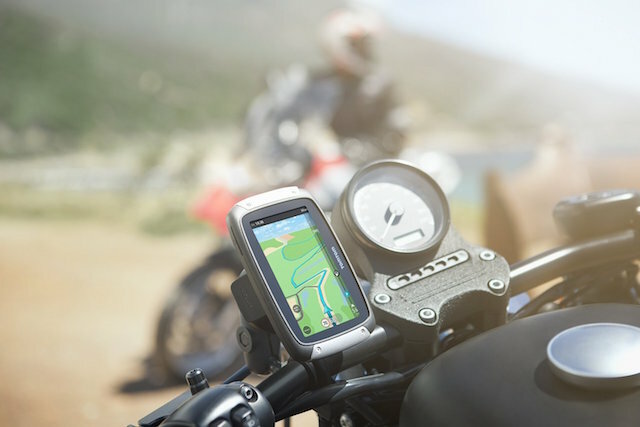 ​The TomTom Ride 400 has been made for motorcycle users and can withstand any form of terrain, allowing you to see clearly in any weather condition. The unit is coated with anti-glare film on 3.5 touch screen that is colorer and also has a sun-visor attached to it meaning that it's easier to see in the direct sun-light although to be honest the screen is very good meaning that only in severe direct sunlight do you need to use the sun visor. The Sat Nav comes boxed in four separate parts that are very easy to assemble and install given the guide offers step by step instructions. UK, Ireland and Europe Maps are included on the device, however it's easy to expand further by downloading maps to other parts of the world where needed. This portable sat nav comes with an automatic re-routing feature that means that if you make a wrong turn, the unit will automatically create a new route. Speed Cameras - The device contains a speed camera alerts. The alerts lasts a lifetime as long as your device is working, at no extra cost and means that if you're driving on the road and you come across a speed camera, the unit will alert you to this and your speed. Computer Route Planning - TomTom's MyDrive allow's you to create a route either on-road or even off-road on your computer at home and then download it directly onto your sat nav unit. The software is called tyre pro and allows you to search, edit, design, and save routes however whilst it's a fantastic idea in principle, we think there needs to be a few more (there have already been a selection) of upgrades before it's any good. Community POI’s - You can upload points of interest from the routes you find interesting into your TomTom rider. From the most affordable motel to a juice burger or your nearest pit stops to the most spectacular vista. Portrait View - With this feature, you can just rotate to have a outlook to take note of the bends that might be ahead and prepare to take the next turn. The ground-breaking rotating mount of the Sat Nav gives a room for easy control in between the portrait and the landscape outlooks. Hands-Free Calling - You can see and accept the incoming calls as you ride. The gadget connects with a Bluetooth to the helmet or headset to your phone enabling you to call and receive calls hands-free. How cool! Pre-Plan Breathtaking Rides - Plan in an advance for an awesome ride by adding some more twists, steep inclines, and turns to your device before leaving your home. It is also possible to determine the time that you will be available and surprisingly, the route that you choose will automatically regulate depending on your schedule. Overall the TomTom Rider 400 is a marked improvement over the already fantastic outgoing TomTom Rider. 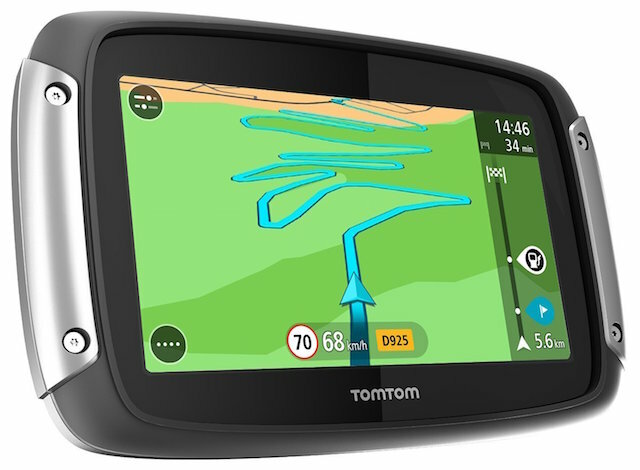 One point we loved about the TomTom is the value for money which we thought made it our top motorbike sat nav unit as it just offered the right amount of performance for the right price. What's great to see to is the all new Rider is still cheaper than the older Garmin Motorcycle sat nav units. We love the fact that now it's possible to go out riding our motorcycle and turn the journey to an adventure, creating a whole new experience. We love being able to create and plan routes at home before downloading routes onto the sat nav and being able to use the built in software to help find us new routes, destinations, landscapes, and roads with the confidence and assurance of never getting lost again.